Is there a case for Christ? If there were to be an arbitrary legal hearing - a court case to determine whether or not Jesus Christ is in fact the only begotten Son of God - would He be vindicated by the evidence, or exposed as a fraud? Has anybody ever compiled the evidence to determine the case for Christ? 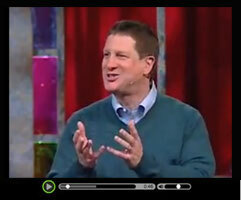 As a matter of fact, Lee Strobel, an atheist at the time he undertook this endeavor, decided that he would prove Jesus Christ to be a fraud by the weight of the evidence. Strobel was certainly qualified to undertake such a task, compiling the case against Christ. He has a Master of Studies in Law degree from Yale Law School and was an award-winning journalist at the Chicago Tribune. Strobel's area of expertise was Courtroom Analyst and he rose to the rank of Legal Editor of the Chicago Tribune. Furthermore, Strobel was not biased towards defending Christ - he was an atheist! In trying the case for Christ, Strobel cross-examined a number of experts and recognized authorities in their own fields of study. He conducted his examination with no religious bias, other than his predisposition to atheism. Remarkably, after compiling and critically examining the evidence for himself, Strobel became a Christian. Stunned by his findings, he organized the evidence into a book he entitled, The Case for Christ, which has won the Gold Medallion Book Award for excellence. Strobel asks one thing of each reader - remain unbiased in your examination of the evidence. In the end, judge the evidence for yourself, acting as the lone juror in the case for Christ. Jesus before Pilate - Did He get a fair trial? Jesus in hell - Where did He go while His body was in the tomb? Joseph of Arimathea - Who was he? Was Jesus crucified on Mount Calvary?